Steel storage from one of the UK’s most established and successful names in the office furniture and storage business. For over six decades, the company has been behind a truly comprehensive range of steel furniture. 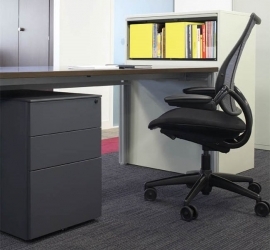 No matter what style or colour your desking is- steel storage will complement any range.